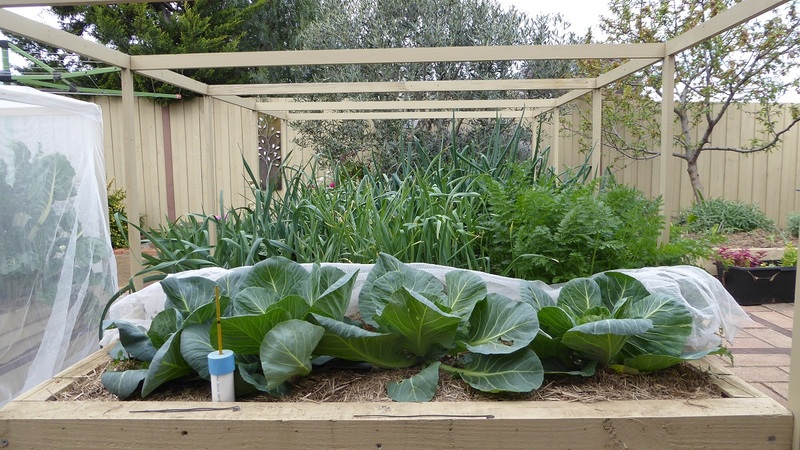 Sustainable Organic Gardening: Blog October 2017. 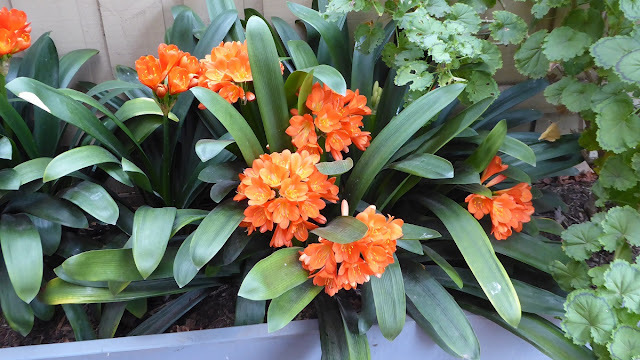 Well its spring at last and although Melbourne is still cold, damp and windy, at least the days are growing longer and the plants are responding accordingly. 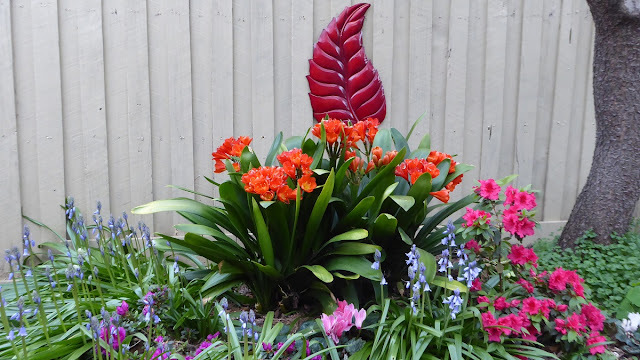 Here is a collection of photos taken in my garden during the past month. My Anzac peach was as pretty as a picture early in the month and the bees were as busy as they are famous for. 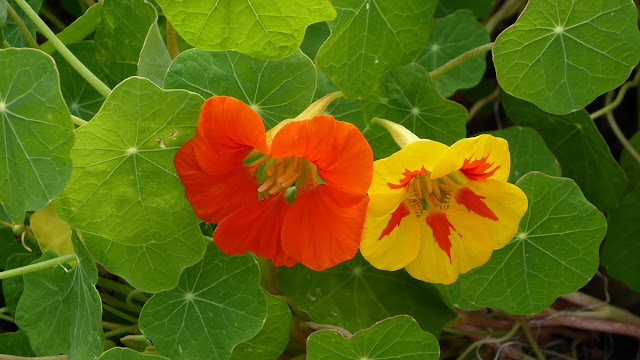 The Nasturtiums quickly formed a carpet of colour under the apple trees during the month. Kalanchoe Blossfeldiana is an indestructible succulent which produces bright red flowers in spring. 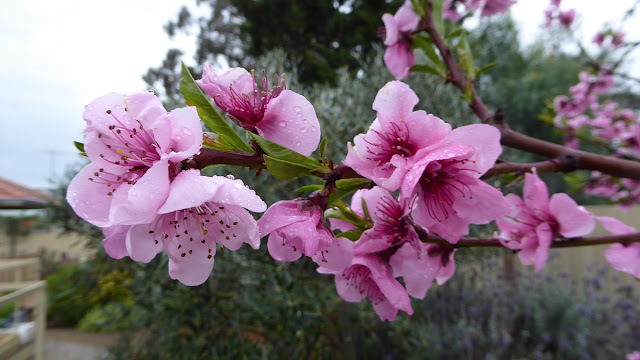 I have them dotted about the ornamental garden, and they are certainly very eye catching. 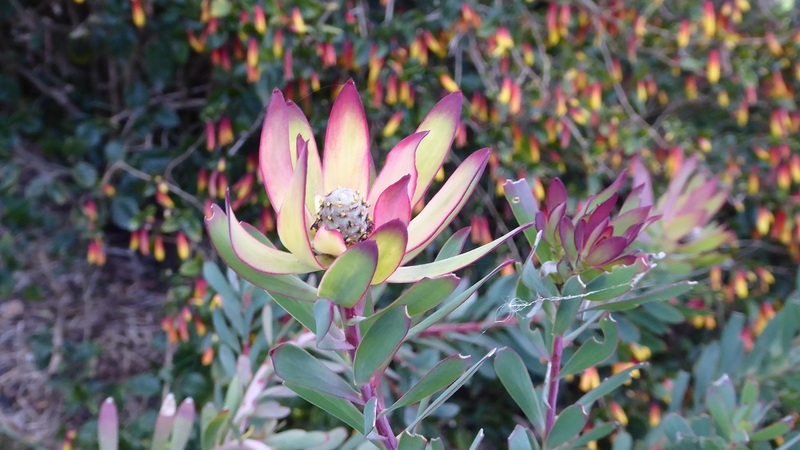 This Leucadendron is a recent addition to my garden. 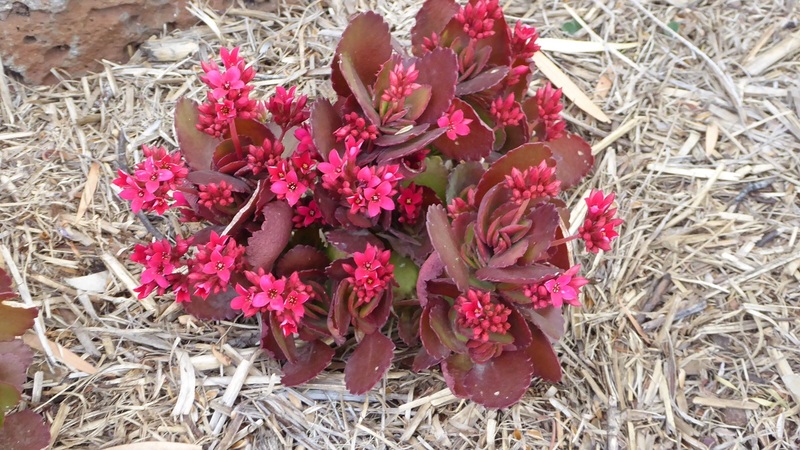 Its drought tolerant and enjoys our hot dry summers. The burgundy coloured leaf is a wall ornament (in case anyone didn't realise). It adds structure to this view, but the overall colour combination is a bit vulgar I have to say. You will be bored by now with my regular posting of this Red Camellia. 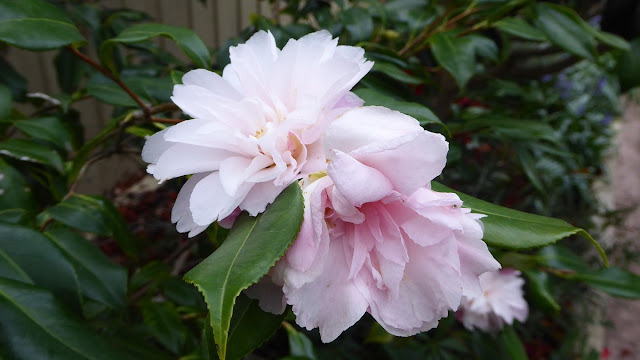 There are about a dozen blooms still on the bush, but this will be its last flourish this year having flowered continuously for 4 months right through winter. 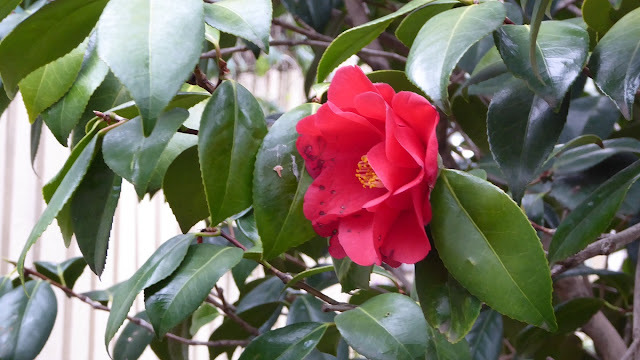 My Pink Camellia blooms are still going strong. 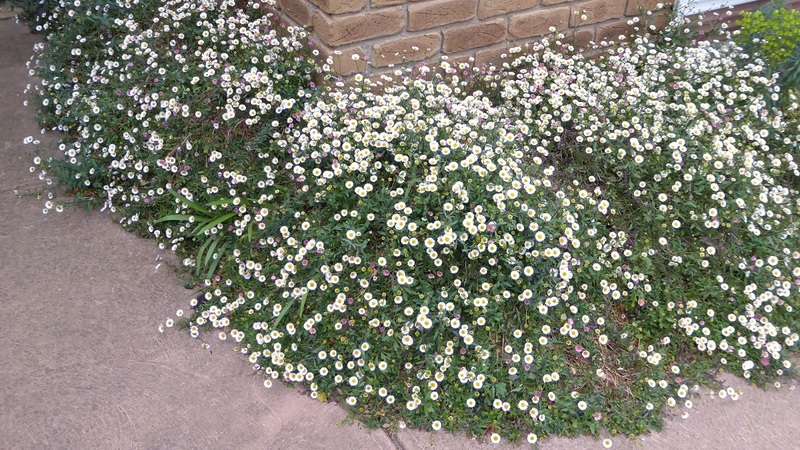 Pretty Seaside Daisies require minimal attention, are drought resistant and don't even need compost to flower like this every spring. Our Clivias seem to like being located under the carport. 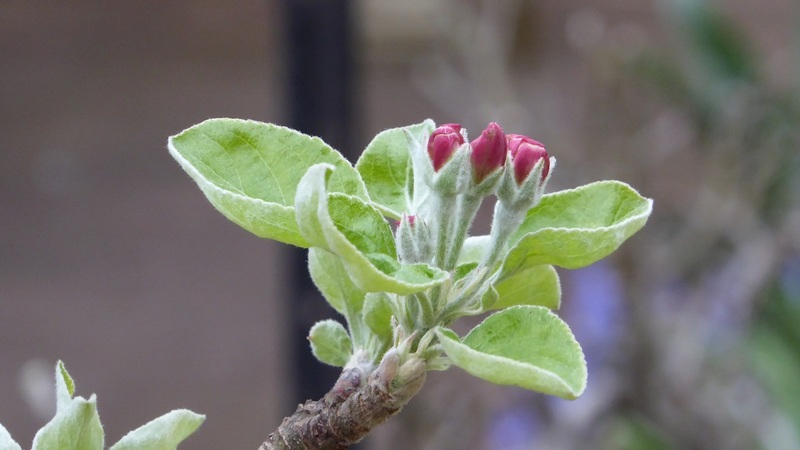 The first apple blossom is about to burst into flower. 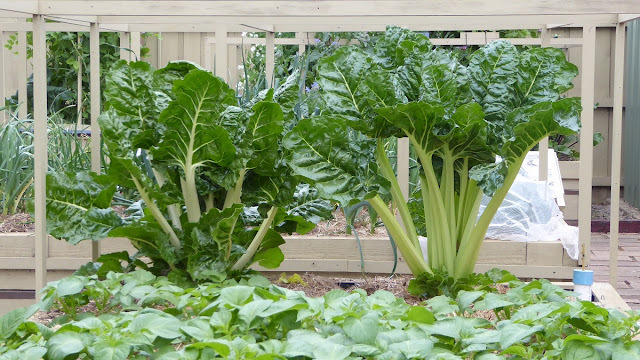 The potatoes are up and growing strongly, and the silverbeet is being harvested as required, mainly from the one on the right. Last years Parsley is about a metre tall (foreground), I have left it in the blackberry bed to keep the soil's microbial population active during the winter months. 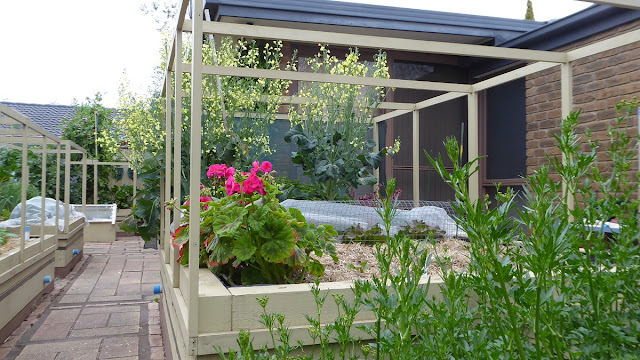 The broccoli at the back of the Ecobed has been left to flower. Its attracting plenty of bees which will help pollinate my apples when their blossom opens in a week or two, and it also keeps the soil biology active until I'm ready to plant my tomatoes later in October. 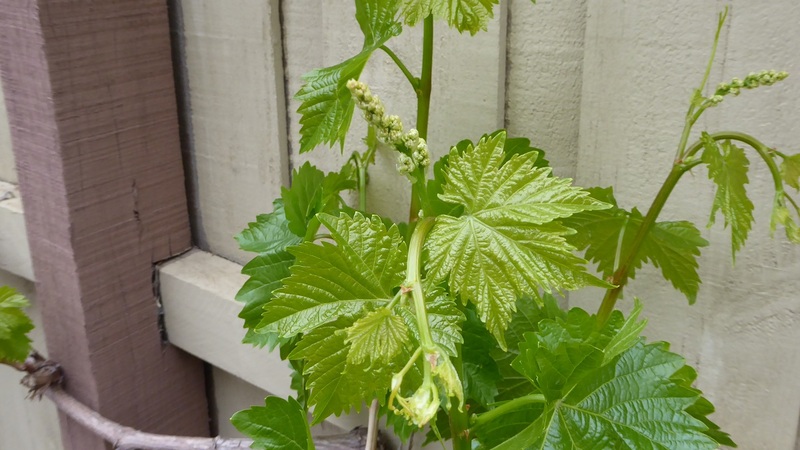 We should get a good harvest from our Sultana grape vine this year. There is still no sign of blackfly on the alliums, but as the weather warms up, I'm sure they'll appear. The carrots propagated in cardboard sleeves (kitchen paper towel inserts etc) are growing very strongly despite being transplanted from the EcoPropagator. The mini cabbages are a catch crop and should be harvested in time to transplant the next batch of carrots. 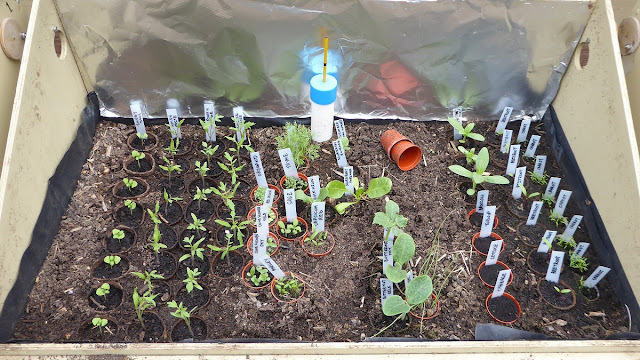 The EcoPropagator is filling up as I prick out multiple seedlings, grown in minipots, singly into fibre pots. There are 22 tomato seedlings in 3 varieties this year. I plan to grow 20 of them in Ecobed 1. The row of carrot seedlings (furthermost right hand row) were out of the ground in a week. This is much faster than I've achieved before when I've sown them directly into an Ecobed. **Note the experimental reflective cladding on the back wall is designed to increase light density in the propagator. 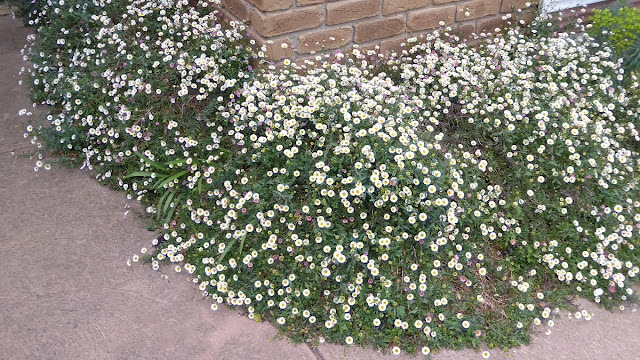 Results are good, but I will have to remove it in the warmer months, as some of the seedlings seem to be wilting a bit on sunny days. 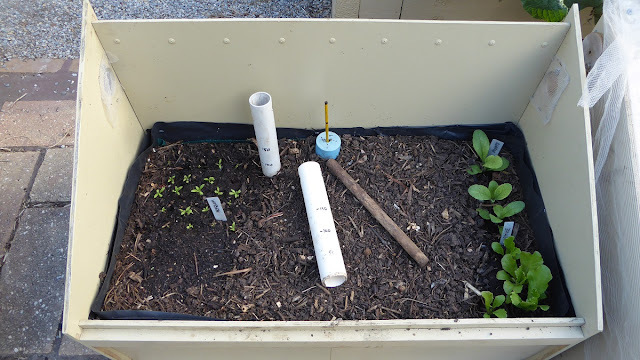 To provide a bit of extra space for spring seedling propagation, this smaller unit has been modified to increase capacity. By removing the plastic bin, reversing the orientation of the front and back wall panels, and adding a plastic liner to create a water tank, capacity has doubled to about 80 minipot spaces. I use the 2 white PVC pipes to making planting holes in the propagators and growing beds. The increased precision of this instrument helps plant the pots more densely. The markings on the outside of the pipes help regulate the depth. I use the larger one for transplanting mature seedlings in their fibre pots out into the growing beds, and I use it to plant potato tubers, where there is a need for greater depth.